So you want to make a robot? Don’t know where to start? 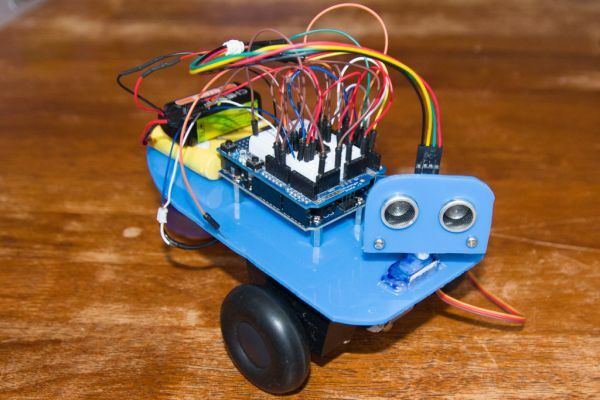 How about you learn how to make a robot with me and make James! James was made as part of a Robotics Class I teach to a few high school students. I called him James in memory of my late Grandfather James Manning Edwards who passed away 14-3-2013. He loved teaching and helping kids and died doing what he loved, hopefully this James will carry on that legacy. 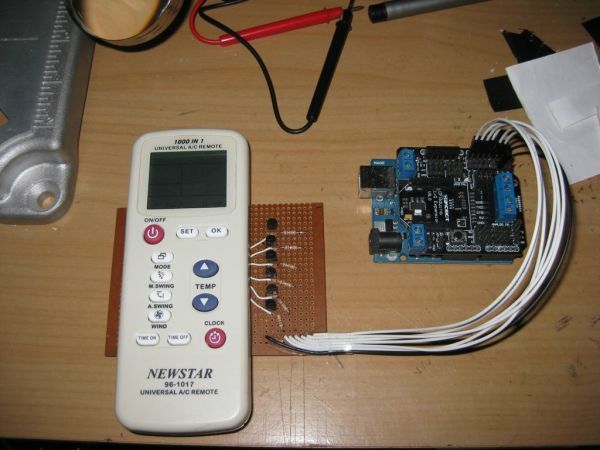 For this build we will be using the Arduino Uno with a Prototyping Shield. 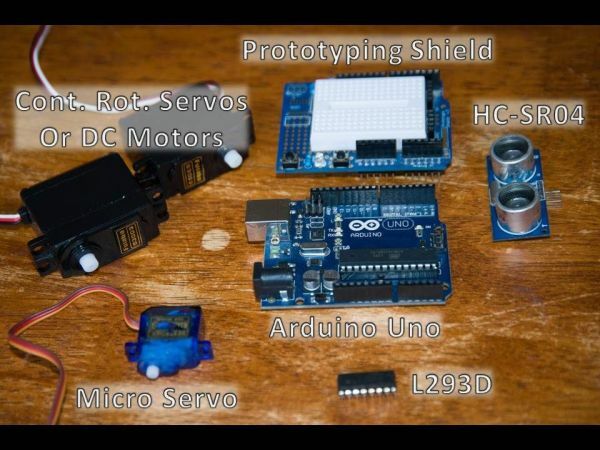 You could use whichever Arduino you want with its own Prototyping Shield or Breadboard. On a piece of paper sketch out a rough sketch of the shape you want your robot body to have. It is always best to have an idea of what you want your robot to look like before you begin its construction. Next you will want to sketch the shape of the robot body onto the protective sheet of the acrylic, this can be done easily with a pencil. If you do not have acrylic you could use; balsa wood, ply-board, foam-core, cardboard plastic containers or even food containers! You will also need to mark out where you want your servo to go. To cut out the hole for the servo drill four holes on each corner where you want to put the servo, this is to allow the blade of the saw to be easily maneuverered, preventing finger loss. The Arduino will be attached to the robot body using M3 screws and spacers so you will also mark where the mounting holes are on the Arduino so they can be drilled out. Once all of this has been done cut out the robot shape on a bandsaw, if you don’t have a bandsaw you can use a coping saw.